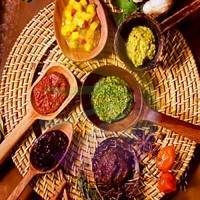 Tropical vacations have a wide variety of rich aromas, such as exotic spices. These spices engage the senses, and can inspire creativity. Get the same inspiration without having to travel by choosing this exotic blend of island spice for your home. Perfect for any room in the home!